Broken iPhone, iPod, Android or iPad? 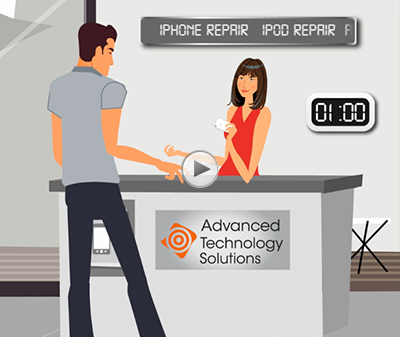 Hundreds of satisfied customers are proof that when using Advanced Technology Solutions for iPhone repair iPad repair, Android repair or Apple iPod repair, you’re in safe hands. Our qualified technicians also specialize in Mac and PC repair, Mac Book repair, iMac repairs and solutions for all your Apple, Android, and PC devices! Many of our services can be done within an hour so there’s no waiting around and no missing out on your favorite social sites, emails or music. We provide excellent repair services and we are able to a fast turnaround estimated in the same day. We fix broken touch screens, water damage, speaker, microphones, cameras, physical damages, and much more. With working knowledge of the insides of your smart phone, our technicians are fast and proficient in their work. Sick Mac or PC Slowing You Down? 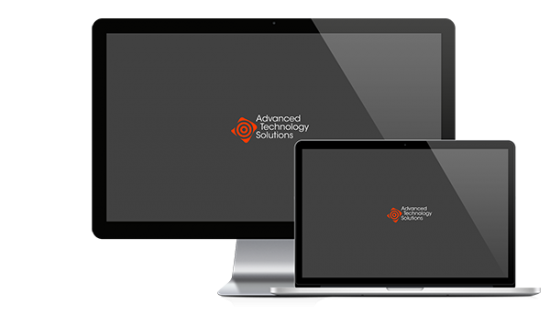 Advanced Technology Solutions will provide you with high priority, full service. We strive to resolve all types of hardware and software issues with your Mac or PC, whether it’s a hard drive failure, RAM problem, logicboard issue, virus, or male ware issue, pop ups, slow performance, or just about any problem you experience. Advanced Technology has your Solutions! At Advanced Technology Solutions, we understand how important staying connected is. We have most service parts always in stock and ready to go! A cracked LCD or a broken iPhone, iPad, iPod, or Android device can cause total disconnect, We service Raleigh, Cary, Apex, and the greater Triangle area. 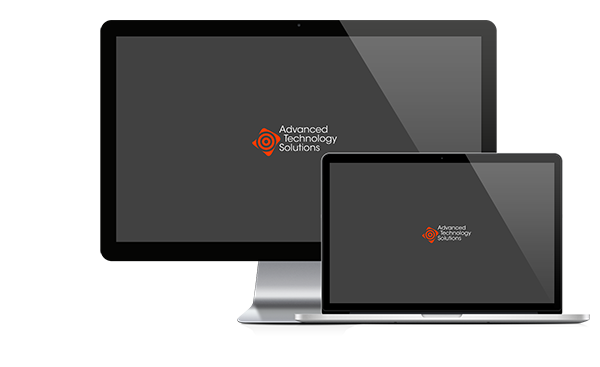 Advanced Technology Solutions also replaces LCD screens, repairs laptops, Apple iMacs, MacBook Pro, and PC's. Re-installing any OS, removing malware, getting rid of viruses, pop-ups, and speeding up slow computer performance is a specialty! Not only do we repair your iPhone, iPad, and Android phones, we also understand how frustrating it can be when Mac and PC problems arise. It is important to us that the process is as smooth and stress-free for you as possible. 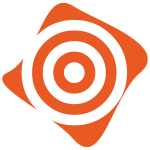 At Advanced Technology Solutions, we live by 3 customer service principles; trust, competence and reliability. We have the expertise to quickly solve all your Mac, PC Desktop, and Laptop repair issues – no matter what the problem is. Last week my wife dropped her iPhone on the driveway and cracked the screen. I took the phone straight to ATS. The whole process took about 40 minutes. Rod gave me a loaner iPhone and even loaded a Netflix from the app store so I would not have to be without entertainment and I passed the time watching videos while he worked. My wife was so happy that her phone was like new again and I was back to weekend honey-dos without missing a beat! During a much needed day of accounting updates in Quickbooks, my computer decided to take a vacation. I didn’t think anyone could save my computer: after spending 4 hours on the phone with tech support that I could not understand, I knew that there had to be a better way. I called Advanced Technology Solutions and they fit me in so that I could get back to work. This type of service is hard to find, I would highly recommend their services to anyone.